I recall a conversation I heard while serving my mission in the Philippines 2004-2005. One of my fellow missionaries talked about a book he had seen at a person’s house. The book was supposedly a record of Christ visiting the Philippines. All I really recall from this vague memory is that a man had a dream about Mother Mary with her head missing. The man wrote the dream in the back of the book. He interpreted the dream to mean that the Catholic Church could not be true. Now I’ll tell you what, if ever there was a Mormon Missionary Myth, this has the makings of one. And so it would have been just a myth, an interesting thought; until one day about November last year. While thinking about this book, kind of wishing it was true, I thought to contact that missionary and ask him about it. So I found the brother on facebook and asked him about it. The follow is the conversation I had with “Brother X” about this record. I’ve excluded personal information. I’ve also excluded the location of the record. That’s the last thing we need is someone going and getting it and putting in the hands of who knows who. A few months later, while preparing to go on a vacation to the Philippines with my wife and daughter, I asked for some more information. I was hoping to be able to actually find the man and look at the book. We never made it to find the man. But I’m hoping someday I, or someone else, will be able to be go and confirm the existence of this record. 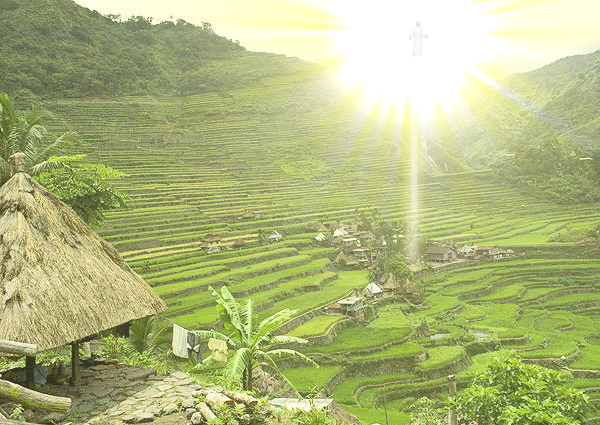 My quick photoshop of Christ visiting the Philippines. I don’t know if this record really exists, I don’t doubt the word of this brother, so I believe it really does exist. But if it does, and is genuine, it would be really amazing. I have no idea what is written in the record other than what I’ve said above. And I don’t think Brother X knows much more and I was unable to contact his companion. I wondered if some missionary would ever grab it up and send it to Salt Lake. But I think missionaries today would be less likely to be interested in such a thing. For me at least, I could see a lot of missionaries, steering clear of that guy. He would be labeled as, “that crazy guy with the book.” I recall an attitude, in myself at least, of wanting to stay with established information rather than searching for further truth. I’m hoping that eventually this record will see the light of day and be able to be examined. Even if not genuine it would be interesting to read what is written inside. Just some other interesting notes. The Philippines is the only predominantly Christian nation in Southeast Asia. The Spanish brought Catholicism to the Philippines. There is a mountain, Mt. 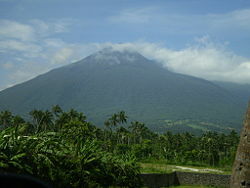 Banahaw, it is considered a holy place. There are claims to healing waters on the mountain. I read(again, second hand info) there is a local legend that Christ appeared on that mountain. The local people do re-enactments of the crucifixion and death of the Savior on that mountain. So I don’t know. I think Christ visited many more people than just the Jews, Nephites, and Gentiles. Someday these records will be made known to us. Could this “Filipino Record” be a glimpse into Christ’s dealings with all the people of the world? Fascinating story. I don’t doubt Christ appeared in other places. The evidence that he was in India at some time is pretty compelling. You’re right about the lack of curiosity among most members. Unless something filters down with the stamp of approval of the Brethren, no one seems interested, despite Joseph’s statement that we expect to see many more things revealed. Most members take no interest in the Gnostic writings, and I rarely find one who has even heard of the Nag Hammadi. If it didn’t come from within the church, it has no value. Hmm. I’ll have to look into that India stuff. I have the Nag Hammadi somewhere on my laptop. I read the Gospel of Thomas and a couple others. There’s so much out there to read. I don’t know how someone can just sit there and be content with the Quad. My goal right now is to get through the Book of Enoch. I’ll be doing a post on it too. I should probably devote less time to blogging and more time to reading so I can actually read it. I really wish I could have found the guy with this record, but I guess it will have to wait for anoter time or another person to get it. Oh also if anybody has any questions about the record I could forward them to “Brother X.” I’m not sure he knows all that much about the contents, but he’d probably be willing to answers some more questions about it.